Finding cute maternity clothes can often be a struggle. Throughout my pregnancy I tried not to buy too many maternity clothes because I would rather find cuter things in regular sizes and just size up. That changed when I came across PinkBlush maternity clothes. 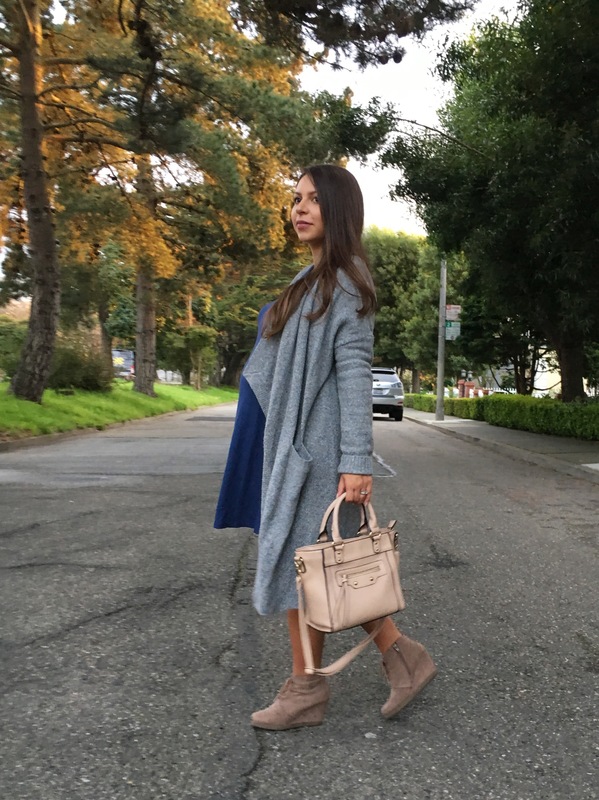 Their maternity clothing is cute and flattering, and really made me feel good wearing it. I adore the floral PinkBlush dress I wore for my baby shower, and I also have a robe that I’ve shared on my Instagram that I absolutely love! 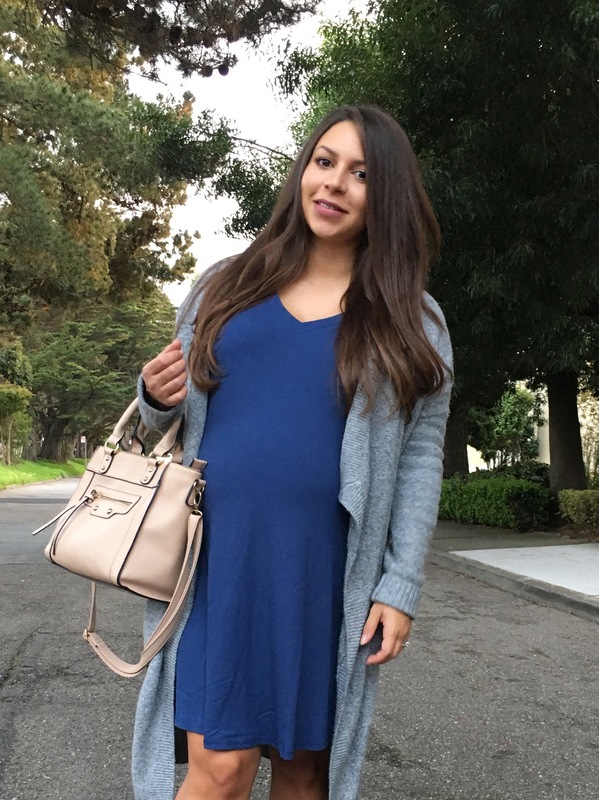 I love this blue dress because although it’s a loose style, it’s still flattering and shows off the bump! It’s so comfortable and I think it will still be great to wear after baby! Pockets on a dress are always a plus as well! Don’t forget to follow me on Instagram for an exciting giveaway coming soon! Thank you to PinkBlush for collaborating with me on this post! Thanks, it’s probably my most worn bag!